Opportunity is like a newborn butterfly who struggles during its transition from a cocoon to an adult. If you cut off the wings of the butterfly thinking that it might reduce her struggle, you deprive her of flight. But if you nurture it with patience, dedication and hard work, it develops into something extremely beautiful. Likewise, opportunities are given to everyone irrespective of their colour, caste, religion, status-quo or race. The real challenge is to believe in oneself and grab the opportunity like there is no tomorrow. 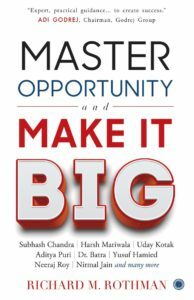 ‘Master Opportunity and Make it Big’ by Richard M. Rothman is a self-help book that instills motivation and boosts confidence. It illustrates a simple truth that when life throws tantrums, it is best not to bear the brunt and ruin the future. That time of life is precious, for it allows you to make choices and take decisions that can change the course of destiny. Using various ‘success secrets from business moguls’ as a scaffold, this book highlights the importance of perception, choice, decision, will, foundation and persistence. All these are like the four wheels of a car. Even if one goes missing, the car ( read life) cannot function. Never in my wildest imagination had I given a second thought to the struggles and the shortcomings of the people who rule the world (in terms of money, power, name and fame). But after reading the success stories, I cannot help but admire the wit, the problem-solving skills and the ‘never-give-up attitude’. Progress is neither usual nor foreseeable. Every step towards the goal requires sacrifice, agony and great effort. With this book, Richard Rothman has made a successful attempt to expose the readers to the struggles and truth of the lives of the ones not born with a silver spoon in their mouth. With a mix of personal interviews and the author’s interpretation, the book doesn’t fail to impress. The book talks about people who have proved their worth in the fields of engineering, medicine, investment banking and entertainment. A striking feature of the book is the diversity that it offers. There are parts (of the lives) that can make you laugh; there are parts that can leave a lump in your throat. The book comes in paperback cover in the color of peace-White. I interpreted this as ‘make peace with your problems rather than blamestorming and cooking your own goose’. On the outside, the book seems enticing; it provokes the mind to flip the pages. 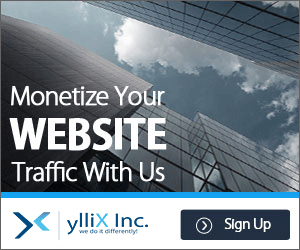 The organization of the content is finely done and the presentation is fabulous. But there are grammatical errors. I first thought that it might be the dialect but then the frequency of errors increased. Misplaced preposition and incorrect punctuation irked me. Overall, a good and recommended read for the ones who need serious motivation so that they can grab the master opportunity and make it big!